HSS manufactures two different sized Parcel Lockers, 15" & 24" inch series. The 15" series is suited for wall mount only. The PL15-OB is 16 5/8"W x 15-1/2"D x 11-15/16"H. Door size 14 3/16"W x 9-13/16H. HSS Industries' 15" is suited for wall mount only. The lockers are available with open back (OB), rear door (RD), or closed back (CB), depending on the applications. The PL-DRD provides pass through security for open (OB) applications. 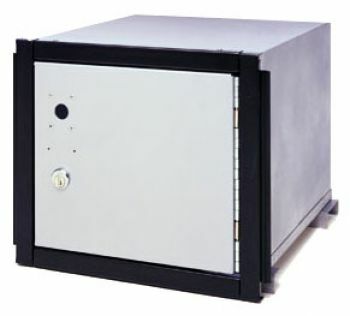 All HSS Parcel Lockers are designed to accept U.S.P.S. Arrow 1035 (regular) locks. A Private Gem Lock is available for private use for security. Download our HSS Parcel Locker Rack Ladder System Installation instructions in PDF format by clicking here. If you wish to access the PDF file but do not have the Adobe Acrobat Reader installed on your computer, download and install the free software from Adobe Systems by clicking here.